Our team consists of passionate and experienced medical professionals, who are compassionate about helping you achieve your cosmetic goals and — always strive to meet each patient's needs. 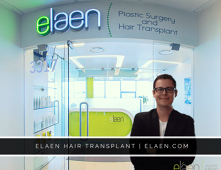 The modern eláen Plastic Surgery Center attracts patients from around the world because of world-renowned hair transplant surgeon, Dr. Roberto Guerrero Zazueta. His remarkable and pioneering work in hair transplant surgery is met with both artistry and technical skill to achieve the most natural and dense results. 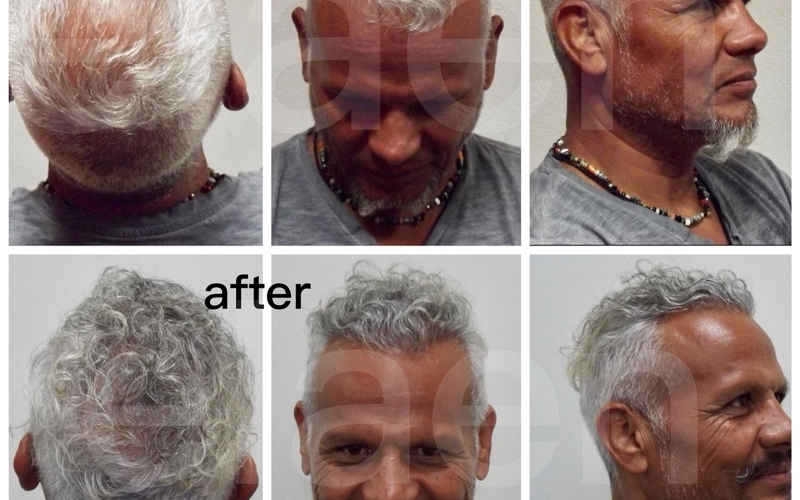 With minimal recovery and with permanent results, Dr. Roberto provides state-of-the-art hair transplant procedures for the full gamut of those afflicted with hair loss. 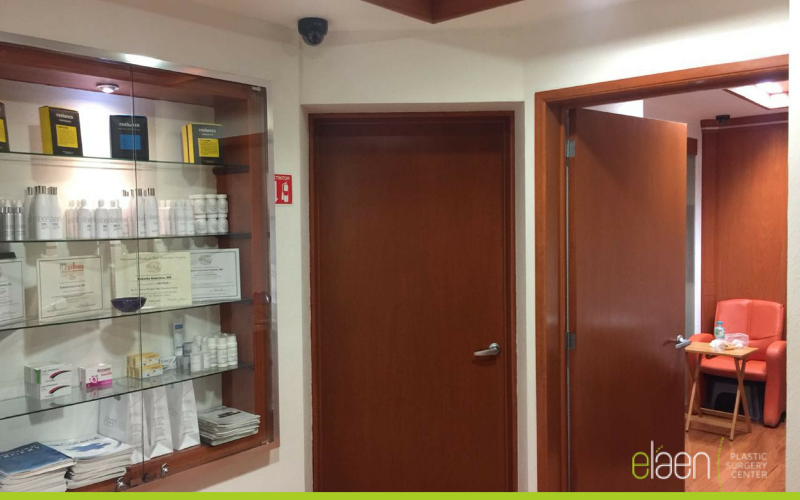 Inside the prestigious eláen hair transplant center in Guadalajara, our team has changed the way patients and the medical community think about hair transplantation. 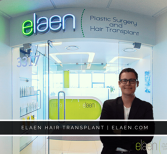 Beyond expertise in hair transplant surgery, eláen provides safe, customized, and compassionate care for every hair transplant patient. 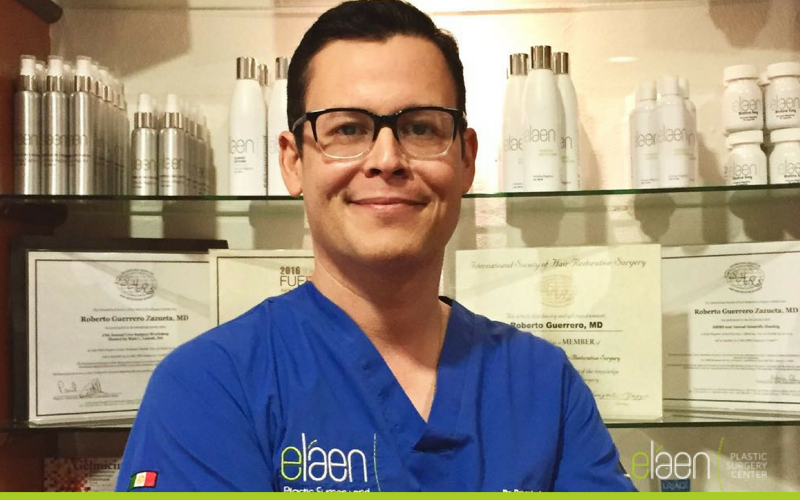 At eláen, we not only perform hair transplant surgery for men and women — but Dr. Roberto also evaluates and treat patients with different causes of hair loss and scalp conditions. We approach each hair loss journey with an all-inclusive practice — obtaining a detailed medical history, performing an in-depth examination using state-of-the art diagnostics and, if indicated, blood tests to detect any underlying imbalances that may be contributing to the hair loss. Follicular Unit Extraction (FUE) is a minimally invasive hair transplantation technique in which follicular unit grafts (hair follicles) are individually removed from the patient’s donor area and then individually transplanted to the recipient (thinning) area. The grafts are removed using a precision tool and then placed in the recipient area. There is no linear scar and no stitches are required. Dr Roberto and his team were amazing. True professionals, incredibly informative, very kind and go out of there way to go above and beyond to help you. The entire process was effortless. Honesty, there is nothing bad I can say from any standpoint. I would comeback in a heartbeat. 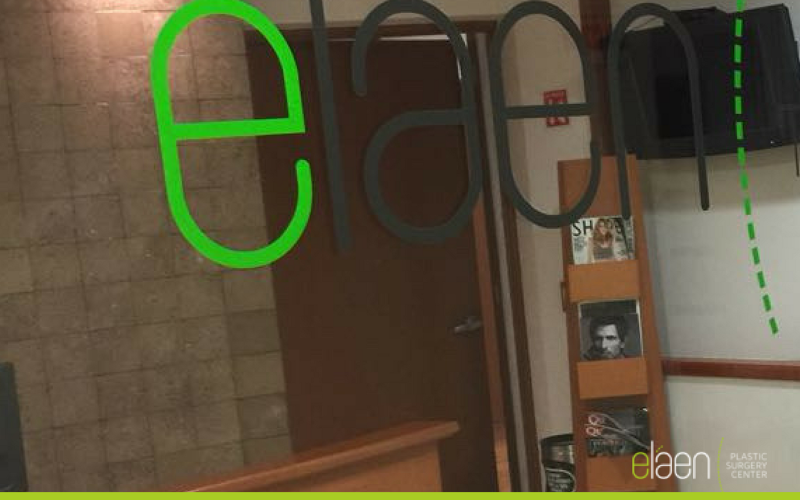 Everyone at Elaen Hair Transplant Center in Guadalajara is very friendly, professional & knowledgeable. It is a very pleasant & relaxing atmosphere. I only had my treatment three days ago, so cannot give a review on the final result. ENGLISH TESTIMONY - TESTIMONIO EN ESPAÑOL ABAJO One year and a half ago I had a hair transplant surgery with Dr. Roberto Guerrero Zazueta. I had 1300 units transplanted. I waited this time to wait for the results and give a complete testimony and recomendation. I can recomend 100% Dr. Roberto Guerrero, he made a great job. I started to see results after 3 months, I got all the results after one year. My new transplanted hair look 100% natural, not even women have noticed I had a hair transplant, the density is great. I can combe my hair as I did when I was 20 years old. The surgery experience was cool, ZERO pain, and even relaxing. Dr. Gerrero explained everything to me before, during and after the surgery. He is pretty friendly and profesional, he is an artist of hair transplant. I'm sure he is one of the best in Mexico. After the surgery he answered to me every single question I had by email in the same day. If you are not sure with doctor to choose for your hair transplant or if you are not sure of the results don't hesitate you are in good hands with Dr. Guerrero, I'm a demanding customer and I can recomend him. ESPAÑOL Hace un año y medio me realicé un transplante de 1300 unidades foliculares con el Dr. Guerrero. Dr. Guerrero hizo un excelente trabajo, 100% recomendable. Comencé a ver los resultados al tercer mes y despuès de un año obtube el 100% de los resultados esperados. La apariencia de mi cabello es muy natural, el nuevo cabello es grueso y firme con una buena densidad. La experiencia de cirugía fue agradable, un poco nervioso al principio pero una vez comenzada la cirugía estaba inclusive relajado, no tuve absolutamente nada de dolor. Dr. Guerrero te explica y recomienda el diseño adecuado para ti claramente, durante la cirugía te explica y responde a tus preguntas, después de la cirugía te responde a todas tus preguntas por email, es muy amigable y profesional. Si no estás seguro cual doctor elegir para tu transplante o si tienes dudas sobre los resultados, no te preocupes con el Dr. Guerrero, estás en buenas manos, es todo un artista del transplante de cabello, no dudes en recurrir a el. Espero que mi testimonio te sea util. My experience has been absolutely wonderful. I am 5 months now since having my FUE procedure done in Guadalajara with Dr. Roberto. I had a pretty noticeable receding hairline and some hair loss at my crown. Now at 5 months it looks like I have a new head of hair. My hairline looks great. I have lots of hair volume at the front and at the crown area. I still haven't even seen the full results of the surgery yet. New hairs are still starting to grow all the time in the implanted area. From the very beginning Dr. Roberto was very professional and very helpful at explaining the procedure and getting my input on new look of hairline and overall treatment approach. I felt comfortable ever step of the way. Lori, his assistant, helped make all the arrangements to come to Guadalajara. They were both very straight forward and honest about what to expect, and everything went perfectly. The results have already more than surpassed me expectations. Thank you so much, Dr. Roberto!! I have done a hair transplant procedure 4 times and today is my 12th day and I have never been treated with all honesty or care ever before. Half of the hairs transplant have already fallen out which is normal and still people tell me I have a full head worth of thickness. Best Doctor I have dealt with and very recommended. Sin duda, ha sido una gran experiencia la obtenida a raiz de mi intervención en Abril-14, en las instalaciones del Dr. Roberto Guerrero y su equipo, los resultados son evidentes y estoy totalmente satisfecho. J. Valdés. I came all the way from Australia for my procedure and it was well worth it. My experience with the Reveert team was exceptional from beginning to end. Lori was always ready to answer any questions I had and was always prompt to reply and curtious. When I arrived for the procedure Dr Roberto explained everything clearly and put me at ease. The procedure itself went smoothly and I am extremely pleased with the result. The follow up consultations with Dr Roberto were also a great opportunity to ask questions and understand what to expect in the months ahead. I would highly recommend Reveert to anyone considering a hair transplant. Excelente atención, trato y servicios. Calidad y calidez. Rapidez y seguridad. El trato del Medico y del personal fueron excelentes. This was by far my easiest process in 5 surgeries. My trip from Canada to Mexico was worth it. I'm sure my results will be stellar and I'll be sure to share photos. I'm also happy to provide any testimonial or have a conversation with anyone having questions about this clinic. I had wonderful and fulfilling experience. I was treated in a kind and professional manner from the pre-consultation to the post operation. The doctors and the staff were knowledgeable and explained the procedure and after care in a clear manner. All of my questions were answered in a timely manner and I always felt that the doctors and staff really care about the comfort and success of the procedure. I would recommend this transplant center and the staff with honor and without hesitation. Sincerely S.Q. 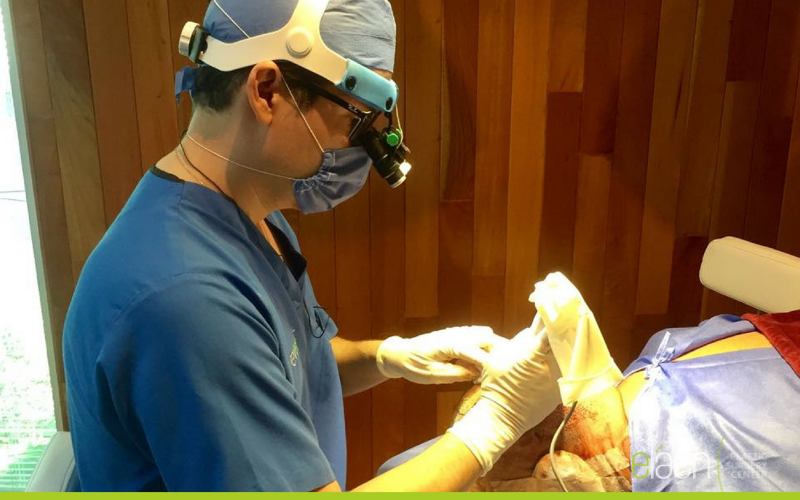 The entire Reveert Team was professional from the initial contact to the actual procedure. Lori's assistance in scheduling the accommodations during the trip to Guadalajara made the trip planning extremely easy. 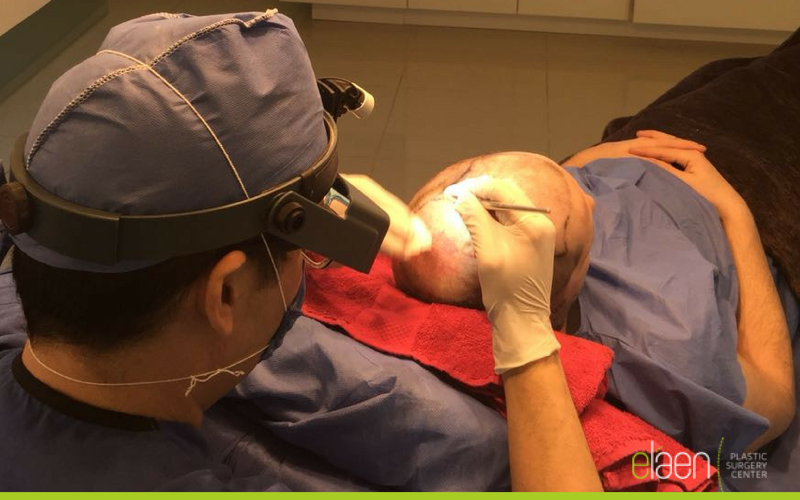 Dr. Roberto and his staff went out of their way on informing me of every step of the hair transplant procedure and ensuring my comfort during the two days the hair transplant took. The facility was clean and is located in a modern upscale area. I would highly recommend the Reveert Team for a hair transplant procedure. It has been nearly two months since my procedure and everything that Dr. Roberto said would happen did happen. 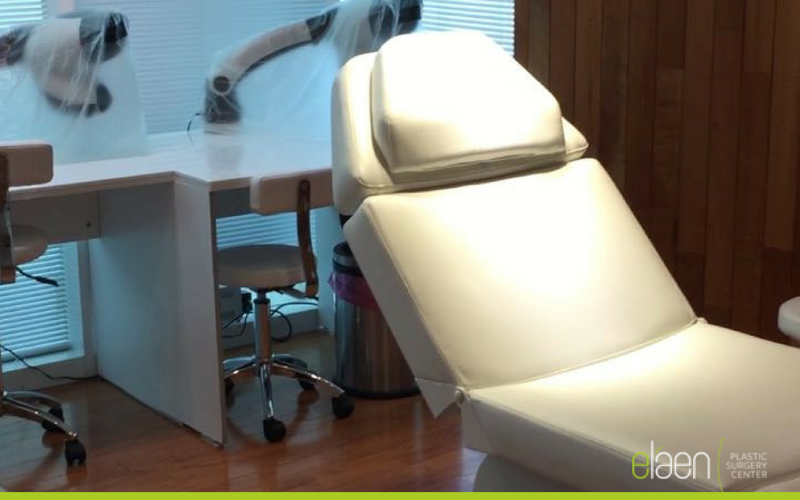 The procedure itself was virtually painless and after two weeks....I was back doing everything that I was prior to the procedure without wearing a hat! Now it's just waiting to see the results! However, Dr. Roberto said that my final results will be very satisfying and I have absolutely no reason not to believe him because he has been dead on in everything that he ha told up to this point. If your thinking about a hair transplant.....stop thinking about it and schedule your appointment with Lori.......I assure you, that you WILL NOT be disappointed. Dr.Roberto and his team at Reveert give exceptional treatment. They really went above and beyond in every respect. I honestly did not expect this level of treatment and results having the procedure done overseas. I would recommend anyone considering having hair restoration done to go ahead and talk to Roberto and Lorri. I can't say enough about how amazing Reveert, Dr.Roberto and the whole experience was. The hair transplant procedure went beautifully. The level of expertise, the level of comfort the provide, the environment, the personal attention, the results and the peace of mind make this the easiest endorsement for me to make. I live in California. The cost for hair transplant surgery in the US is ridiculously expensive. Reveert pricing is roughly 65% less than US costs. And I can't imagine that the level of service in the US can compete with the Reveert Clinic in Mexico. The whole experience was perfect!! If you live in the US or Canada then the Reveert Clinic is where you want to get your transplant. Everything was handled very professional. From the first email response to the actual surgery and the post surgery check ups. I felt very well taken care of. Like going to a spa. I really appreciate the fast response you get over email with the doctor after the treatment. Any small question you might have is answered with extreme professionalism with in a few hours. Even on a Sunday. I am very pleased with the hole experience. Idont have words to thank all the staff at Reveert and specially Dr Roberto for his kind heart and excellent work but will say He that my ener world is once agian so bright and full of confidence.Daud Tata from Vancouver b.c.Thanks kindly and may God bless. A bad haircut grows out - a bad transplant doesn't, so I was extremely cautious when I chose a clinic. I researched as much as I could (especially the pitfalls) and went in to talk to Dr. Roberto Guerrero at Reveert and found out that his explanations matched the best practices I had read about. I still had LOTS of questions, and Lori (patient coordinator) could not have been more patient answering every one. The procedure went very smoothly - a little longer than expected (about 12 hours), but they were always busy and were obviously being very meticulous. There is some discomfort while the local anesthetic is being injected, but after that I felt nothing. There were four staff members working on harvesting, preparing and implanting the hair. All of them were extremely pleasant and were all concerned with my comfort. I felt fine throughout the entire process (even watched a couple of movies as the hair was being implanted). Both pre-op discussions and post-op instructions were very detailed. They even drove me back to my hotel. My follow-up the next day gave me more info on what to expect. I have not had much discomfort following the procedure. The staff speak perfect English. And they gave me a set of post-op supplies and a really cool hat - well it covers my head. Overall it was a very stress free experience - a long day, but I was never in any discomfort. I am now 3 days post op and all is going well. I can highly recommend Reveert. 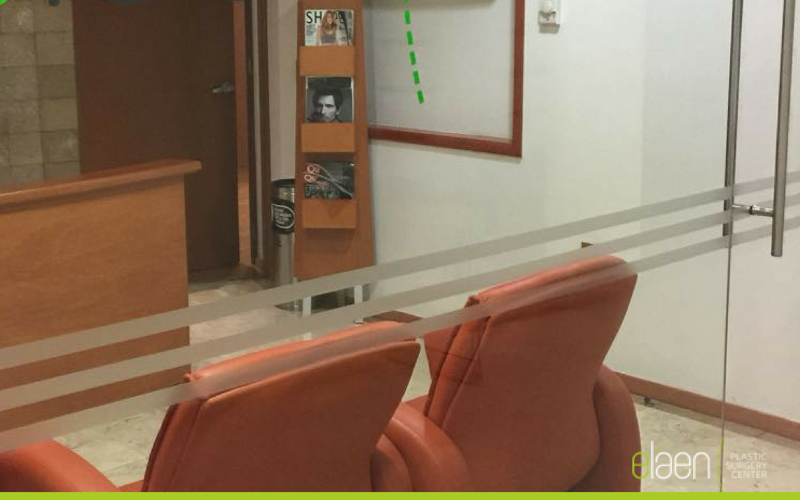 "I´m so grateful for all the care before, during and after the hair implant, at first I was a little unsure about the results, but as time passed by I have seen the progress, I am 100% satisfied with the results, everyone notices the change and i feel so confident about myself"
I had a hair transplant at Reveert Hair Transplant Center in January and although it is too early to see any results i wanted to commend Dr. Roberto Guerrero, Dr. Reynaldo Isaac Espinosa and their assistant for all their hard work. It took a total of 2 days and 22 hours for a total of 2500 grafts, the first day going from 8am-11pm with only a couple small breaks. Everything went smoothly and everyone at the clinic was very nice and helpful in answering any of my questions. i will post another review when i see the final results in about 6 months. The second-largest city in Mexico and Jalisco’s state capital, Guadalajara is a vivacious city incorporating contemporary developments, colonial design, and rich cultural heritage. This graceful metropolis blends tree-lined avenues and gorgeous water fountains that capture Guadalajara’s beauty — City of Roses, City of Fountains, Ciudad Real, and most famously, the Pearl of the West. 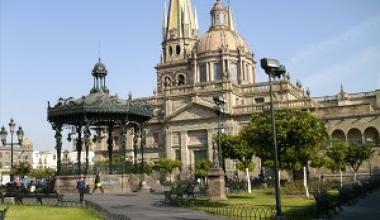 You will find cultural and artistic opportunities flourishing in downtown Guadalajara. Guadalajara offers opera, theater, and top shopping venues — plus world-class restaurants serving a delicious blend of pre-Hispanic and Spanish cuisine. Escape to modern comforts of Guadalajara. 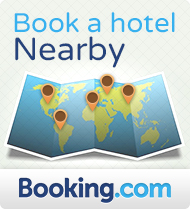 Each hotel destination offers a calming oasis where you can have a revitalizing stay. When planning your trip, ask for local area activities, travel assistance, and requests for restaurant recommendations.